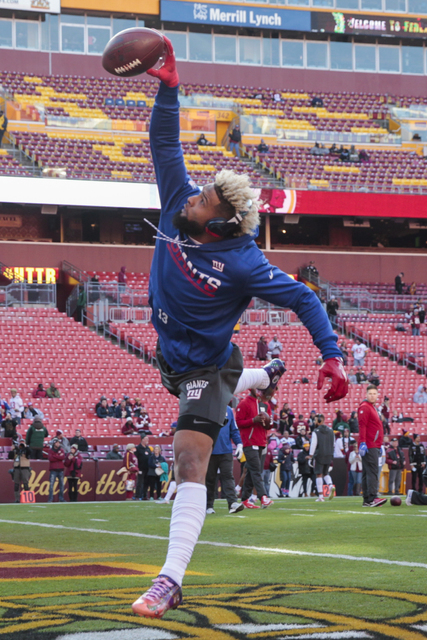 Aside from his dance moves during games, New York Giants wide receiver Odell Beckham Jr.’s hairdo might be his most easily recognizable feature, and he used that to his full advantage as an undercover Lyft driver recently. 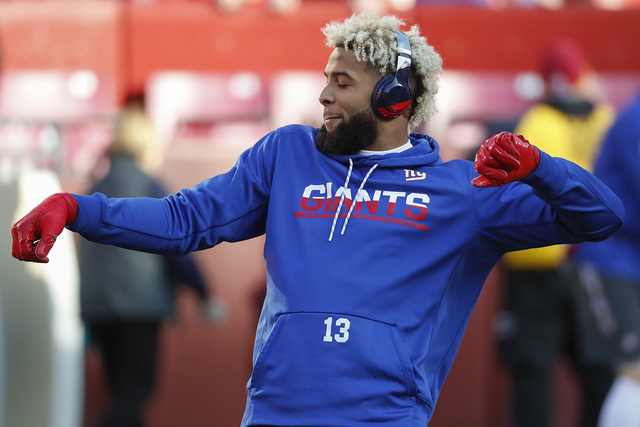 With a beanie and sunglasses on, Beckham Jr. picked up his passengers one by one and led each conversation toward football, the New York Giants and eventually his hair to try to get them to realize who was actually driving them around. Beckham Jr. even joked with passengers that he was trying to get to Houston in February. For those non-NFL followers, Super Bowl LI takes place in Houston on Feb. 5. One passenger told him his hair looked like ramen noodles, and at one point, he even took a planned phone call from his mom and her questions got, well, a little embarrassing for a grown man. 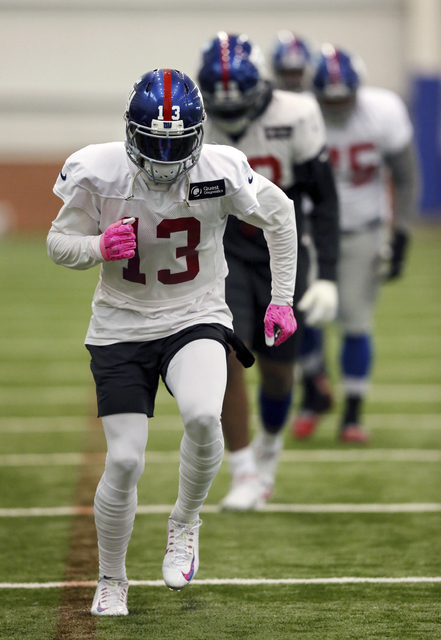 Beckham Jr. and the Giants face the Green Bay Packers on Sunday in the wild-card round. Contact Kira Terry at kterry@reviewjournal.com or 702-477-3880. Follow @kiraterry on Twitter.